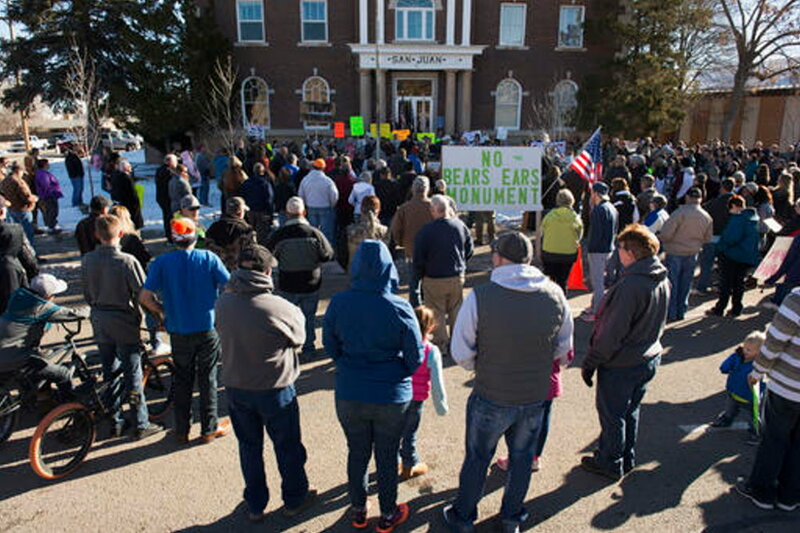 ST. GEORGE – In the wake of President Barrack Obama’s designating the Bears Ears National Monument Wednesday, Utah officials have vowed to use every means open to them to see the new monument undone. They are also looking to the next resident of the White House as a hopeful ally in this endeavor. During a gathering held Thursday in San Juan County protesting the new monument, many signs with the phrase “Trump this Monument” were displayed and held high. Speakers at the event also repeated the phrase as they appealed to President-elect Donald Trump to aid in dismantling the unwanted monument. Views differ on whether or not Trump can actually undo the creation of the monument once in office. Christy Goldfuss, managing director of the White House Council on Environmental Quality, said the Antiquities Act that allows a president to create monuments does not give a president authority to undo a designation, a rule the courts have upheld. She acknowledged, though, that Congress could take action. The Act was approved by Congress and used by then President Theodore Roosevelt to create the Devil’s Tower National Monument in Wyoming in 1906. As reported by the Deseret News, Goldfuss told reporters the Obama administration isn’t worried about the backlash out of Utah and believes attempts to undo the new monument will be unsuccessful. While the Act may not expressly allow a president to simply undo a monument designation, it does empower the president the ability to make “modifications,” Carroll said. “There’s nothing in the act that mandates or controls how much (a monument) can be changed,” he said. 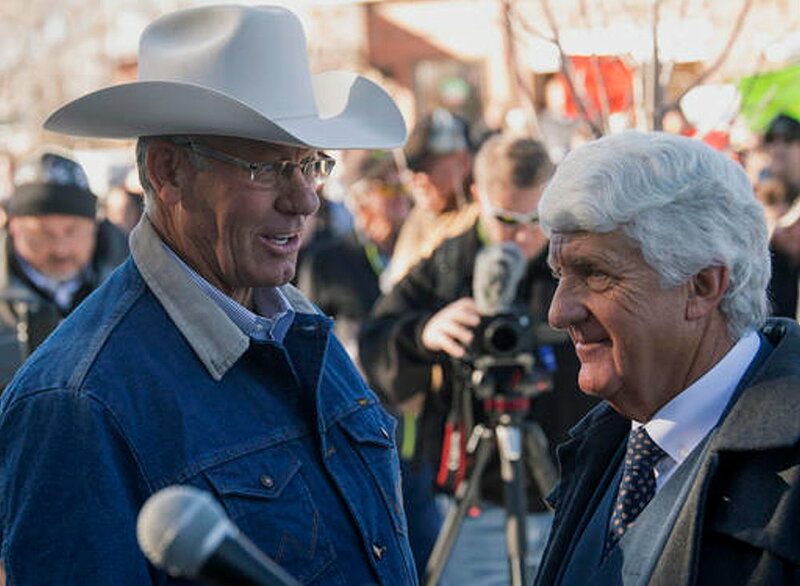 If Trump wanted to, Carroll said, he could change the size of the Bear Ears Monument and shrink it considerably. Once done, Congress could come in and pass Bishop’s Public Lands Initiative which would protect part of Bears Ears as a national conservation area while opening other parts to local and economic development. “That would functionally undo 99.9 percent of what Obama did,” Carroll said. Taking this route is a potential way Lee and other Utah delegates hope to work with the incoming administration to undo the national monument. Other avenues Utah’s leaders and congressional delegation are likely to pursue moving forward include possible legislation and litigation. Stewart has stated that he will use his position on the House Appropriations Committee to block funding to the new monument. Sen. Orrin Hatch said Wednesday that he will meet with Rep. Ryan Zinke, R-Montana, Trump’s nominee for interior secretary, and discuss what may be done about reversing the monument designation. In addition, Hatch and Lee will reintroduce legislation to make Utah exempt from future presidents’ use of the Antiquities Act to designate monuments. It would be similar to legislation passed in 1950 exempting Wyoming from the Antiquities Act and place the creation of any new monument in the hands of Congress. There has also been talk among the congressional delegation of either seeking to repeal the Antiques Act or greatly restricting its use in the future. On Thursday, Chaffetz, who chairs the House Committee on Oversight and Government Reform, sent subpoenas to Interior Secretary Sally Jewell and Goldfuss demanding a document dump related to the Bears Ear National Monument designation going back to 2013. In the letters, Chaffetz states concerns that the Obama administration stepped over federal procedures involving local stakeholders and proper environmental assessment. “(Obama’s) sweeping application of the Antiquities Act raises questions about the administration’s commitment to transparency and consultation with local stakeholders with respect to designating national monuments,” Chaffetz wrote. Previous attempts by the Oversight Committee to obtain information regarding the Obama administration’s process for using the Antiquities Act have thus far met with a limited response, Chaffetz wrote. Jewell and Goldfuss have till Jan. 13, 2017, to produce the requested documents. Failure to do so will result in the committee’s “obtaining them through compulsory measures,” the letters state. 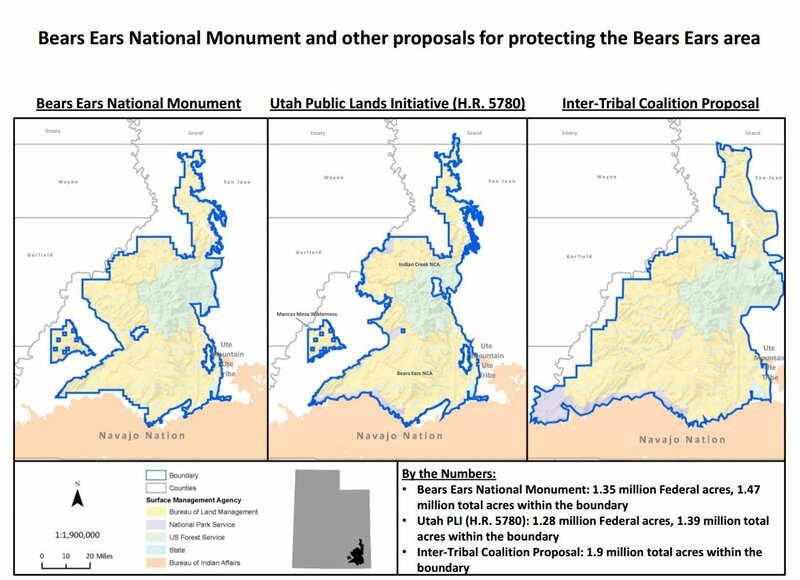 On the state level, Utah Attorney General Sean Reyes said his office has been working with members of the congressional delegation as well as county and state officials on a pending lawsuit in case the monument designation happened. 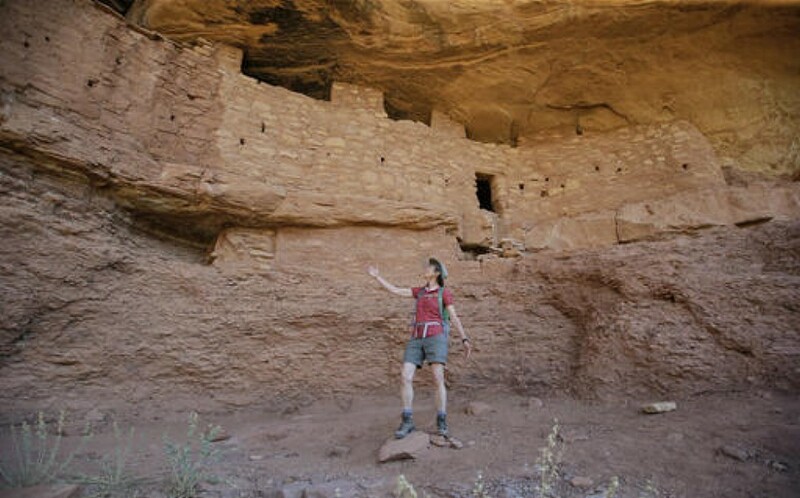 “The Antiquities Act was passed to protect archaeological sites from pillage by treasure hunters with narrow, focused designations of thousands of acres or only what was absolutely necessary,” Reyes said in a statement released Wednesday. “It has turned into a tool for the Executive Branch to bypass proper Congressional authority, to designate millions of acres at a time and far beyond what is necessary to preserve sacred sites. It remains to be seen what course the brewing war over Utah’s newest national monument may take once the president-elect takes office next month. Now it’s open for all and not just a few cronies who want to develop and exploit the area. Love the picture of kids holding signs and wearing puzzled WTF looks on their little faces. Mormons are so good at using the kids to make their points…when the kids have no idea what they’re doing. Just what was goin thru my Mind. thank you. Using Children Still- So Sad. This is rich. So Mike Lee, who was the loudmouth leader of the failed coup against Donald Trump at the Republican Convention, is now begging for Trump to reverse this action? Pucker up and assume the position, Mikey. How one-sided can you get???? 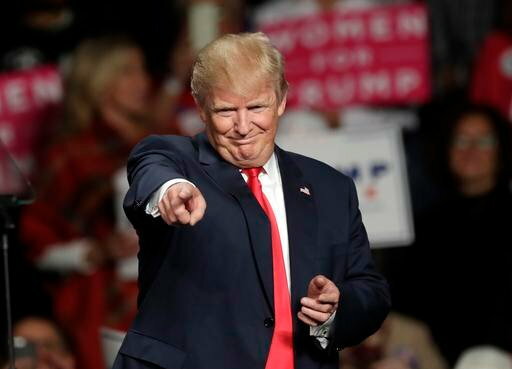 Other than a short mention of those in favor of the monument your entire article is about how our very-right-wing legislators intend to reverse the President’s designation. Maybe you could ask a few of those who fought for Bears Ears how they feel instead of parroting the alt-right philosophy of drill-baby-drill for the bucks. Very crappy reporting!!!! Sounds like you didn’t read the preceding report, dhamilton – it is linked in this one. This report is specific in scope and likely one of many to come.